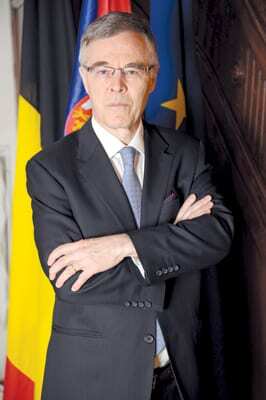 The Belgian Ambassador to Serbia, H.E. 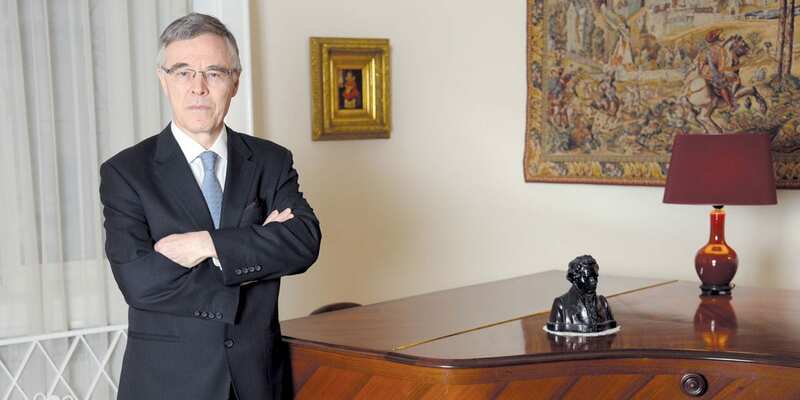 Leo D’aes, insists that the challenges confronting the European Union, at the internal and the global levels, have not brought an end to the idea of expansion to the countries of the Western Balkans. 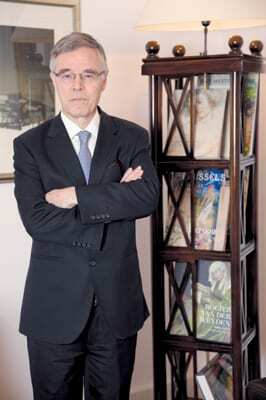 Testifying to this, he says in this interview for CorD Magazine, are not only the recent announcements of the highest European officials, but also the concrete financial support of €100 million that Serbia received in early June from the EU pre-accession funds. Ambassador D’aes advises that Serbia continue with reforms, particularly in the area of the rule of law and establishing a business climate that would guarantee predictability and stability of investments for potential investor companies. Your Excellency, you recently told students of the Faculty of Political Sciences in Belgrade that Serbia can become an EU member when it fulfils all conditions in the process. However, one gets the impression that EU enlargement is becoming ever less important on the European agenda due to the internal situation within the Union. On what basis do you claim that the Balkans is an EU priority? – I will answer this question by recalling a clear statement made by the European Council on 9th March: “In light of the internal and external challenges that the region is facing, the European Council discussed the fragile situation in the Western Balkans, which it will keep under review. It stresses the importance of continuing on the reform path, good neighbourly relations and inclusive regional cooperation initiatives. It reaffirmed its unequivocal support for the European perspective of the Western Balkans. Welcoming the progress made by the countries of the region, the European Council stresses that the EU remains committed and engaged at all levels to support them in conducting EU-orientated reforms and projects”. This statement followed a visit, the week before, of HR Mogherini to the region, and was followed by the participation, one week later, of Commissioner Hahn in the WB6 meeting in Sarajevo. And, as you know, another high-level meeting of the WB6 was called by HR Mogherini on 24th May. Commissioner Hahn was here again on 8th June to participate in the EU-Western Balkans Investment Climate Forum. These are just the most recent examples of the continued, sustained and active interest of the EU in the Balkans. At the recent celebration of the 60th anniversary of the founding of the EU there was almost no mention of enlargement, while the “white paper” of Jean-Claude Juncker on the future of the Union until 2025 does not mention expansion at all, but rather only five EU consolidation scenarios. What kind of message does that send to candidate countries? – Western Balkan countries that genuinely want to belong in the EU, and which share and defend its basic values and political objectives, are being offered ample opportunities to implement such a policy. The statement by German Foreign Minister Sigmar Gabriel on 31st May, on a “Berlin process reloaded”, is only the latest (and strongest) example of the willingness of the EU and/or member states to continue extending a helping hand to those committed to the EU project. Making an attractive economic area of the WB6 is a concrete project and, in my opinion, sends a very positive message to the region. It implies, of course, mutual responsibilities. Other opportunities for substantial and lasting reforms in all sectors related to the EU acquis abound, with substantial EU help available. For instance: as recently as 7th June, Serbian European Affairs Minister Joksimović signed an agreement in Brussels, together with Commissioner Hahn, on a package worth nearly €100 million to boost Serbia’s economic competitiveness, infrastructure and judicial system. Belgian Finance Minister Johan Van Overtveldt said that the EU as we know was destroyed by Brexit. He considered it would now be best to reorganise the Union in such a way that member countries form a strong alliance around key issues – security, migration and trade – rather than dealing with “trivia policies” that increase discontent among citizens across the continent. Is that “Europe in multiple circles”, and how would decisions on enlargement be made in such an alliance? – The position of the Benelux countries is clear: the EU needs to focus increasingly on its core priorities, doing what member states alone cannot deliver to their citizens. 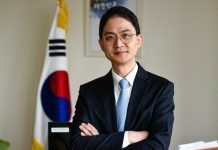 Moreover, different paths of integration and enhanced cooperation could provide for effective responses to challenges that affect member states in different ways. That means, simply, that in our view the EU must continue moving forward, effectively responding to global challenges (i.e. the broad field of security), preferably in unison, or else in a core group, on specific issues, if need be. Evaluating and deciding the readiness of candidates to join such a dynamic EU will, of course, require broad consensus. Speaking about Brexit, Belgium seems to favour reaching an agreement with the UK as soon as possible and not prolonging negotiations. Given that some are of the opinion that the EU should not make concessions in negotiations, because that would send a bad signal to other states, which option do you think will prevail? – The EU and Britain are faced with the unpleasant task of divorcing. Let us deal with this in a way that respects both sides’ interests: those of Britain wishing to cancel its obligations of membership, those of the EU wishing to keep intact the rights and obligations of the EU member states which signed up to the Treaties. In other words, it is quite clear that abandoning obligations of membership implies losing the advantages of that membership. Belgian media are reporting increases in the number of Brits seeking Belgian citizenship, especially among those who live in Belgium for work reasons. How will the government deal with such requests? – Any British citizen applying for Belgian citizenship will need to comply with the current legislation on Belgian nationality. When it comes to Serbia, you recently advised Serbian government not to wait for the EU to become ready for enlargement, but rather to continue with reforms. Do you believe this process can be just as effective without clear prospects of joining the EU? – Yes and no. Yes, because a number of reforms are necessary as such, with or without joining the EU. No, because joining the EU is a privilege to which one can rightly and proudly look forward, as a healthy motivation. So, it’s a combination of what needs to be done anyway, with an inspiring commitment to become the member of a political project that has successfully entered its 61st year. In which areas do you consider reforms as being the most needed? – The areas are quite well known: macroeconomic stability and fiscal consolidation, attainable and attractive incentives for SMEs to invest, the rule of law in the broad sense, the many practical steps to take to open up the WB6-area and making it a true regional market at the micro-level. Belgium has repeated several times that Serbia can count on its help and support in the process of membership negotiations. What does that help look like in practical terms? – We very closely monitor Serbia’s efforts to gradually approach the grand EU acquis. As a founding member, we are not only in favour of the principle of strict and fair conditionality, we are always open to discuss with the accession team the best ways to make progress, in any field, in any chapter. There are many informal consultations like that in Brussels, at all levels, with Serbian representatives to the EU, and in which we (like all member states) aim to increase understanding and facilitate progress for those working hard to join us. And, of course, as a contributing member state, we help “in practical terms”, i.e. financially, through everything the EU does here in terms of pre-accession assistance. How would you evaluate bilateral relations between Belgium and Serbia? – Our bilateral relations are coloured by the accession process, in which we are committed to progress. It’s a partnership with shared responsibilities geared towards the future, so I cherish it and try to contribute to it. In the meantime, we cooperate actively and substantially, for instance in the wide area of justice and police investigations and in the ever-ongoing fight against organised crime. As you know, our economic relations are modest, but with Serbia’s efforts aimed at improving the business climate come an enhanced interest from Belgian companies. The interior ministers of Belgium and Serbia signed an agreement on police cooperation a few months ago, aimed at ensuring more efficient cooperation in the fight against terrorism and organised crime. How is that agreement implemented? – The recently signed police cooperation agreement is especially important in the rapid exchange of information on all matters related to organised crime. It contributes to making daily operational relations, which, as you know, are quite intense, even smoother. On the same occasion, Belgian Interior Minister Jan Jambon stated that around 200 Belgian nationals are active on the battlefields of Iraq and Syria. At the same time, other data suggest that several hundred Belgian citizens have contacts with radical groups, some of which are responsible for terrorist attacks in Belgium and throughout Europe. How is the government dealing with this problem? – The CT (counter terrorism) activities are of course very much part of the wide network of cooperation within the EU, and between the EU and its Balkan partners. Key fora like the EU-Western Balkans Ministerial meetings on Justice and Home Affairs, or the Western Balkan Counter-Terrorism Initiative (WBCTI) help us and other EU Member states to manage, to the extent possible, the threat. No state can do it alone. With every day passing the practical cooperation with our many partners in this very demanding task of CT is increasing. To what extent is Serbia interesting for Belgian investors today and where do you see possible obstacles to their greater engagement in Serbia? – With fiscal consolidation taking root, and with initiatives for promoting SMEs increasing and being sustained, there is gradually increasing interest in establishing partnerships here in Serbia, either as a production unit for export or for grasping opportunities of the local market. Hesitations spring from the real or perceived lack of a level playing field, making the investment riskier than it could be elsewhere. Any businessperson rightly demands legal certainty at all levels (state, local) and in all fields (technical, taxes, permits etc.). To the extent that this kind of certainty and confidence increase, Serbia’s vast economic potential will equally attract more Belgian interest.